Absolutely a stunning capture Howard!!! 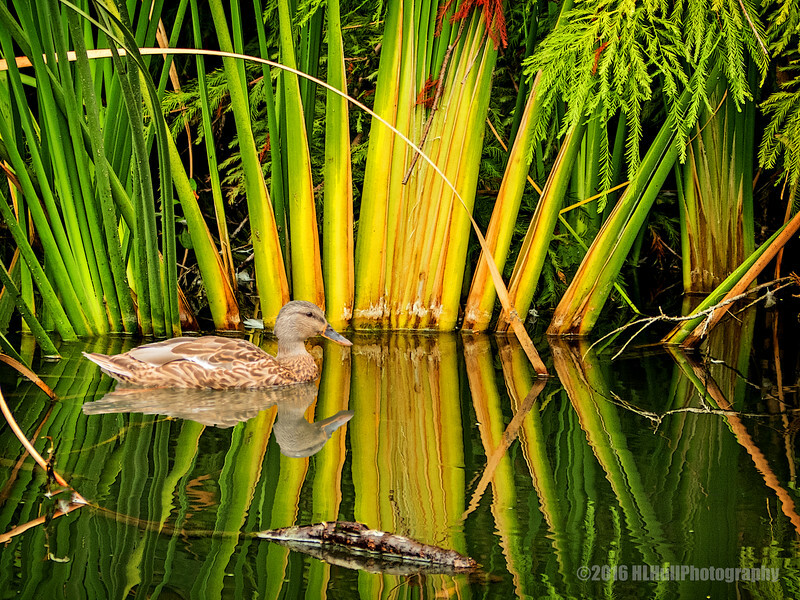 The colors and lines of the cat tails, both above and reflected on the water make a striking image, and a perfect background for the female mallard. Gorgeous colors, reflections, great comp!